While a comprehensive financial plan can help you better understand where you stand financially today and what path to follow to pursue your goals, taking action is a whole other story. Through our decades of experience working with hundreds of clients, we have seen firsthand that without coaching and accountability, many people won’t make the changes they intend to make. As a result, they end up passively making choices and hoping that things work out for the best. We call this The Wishful Thinking Trap™. This may be because they are busy with their lives or don’t have a partner to encourage them and help them along the way. This is where our unique, one-of-a-kind The Freedom Coach Program™ comes into play. Beyond the financial services we offer, this program is designed to help clients actively make continuous progress with their goals. Working with us privately or in a group with other individuals, we believe that by sharing your experiences and holding one another accountable, you are more empowered to take action and close the gaps in your planning. This advanced program is designed for active and successful individuals and couples who are open to new ideas and are willing to take the time to plan. 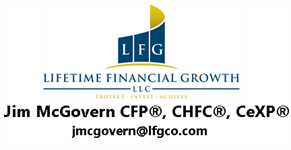 As this program may not be for everyone, we also offer complete financial planning and wealth management services. Honestly assess your current financial situation and identify the gaps. Create a written vision of your future. Review the 16 major gaps and start planning how to close them. At the conclusion of this starter session, we decide together if The Freedom Coach Program™ makes sense for you and your needs. Contact us today to learn more about the 16 major gaps in planning or to schedule your starter session.